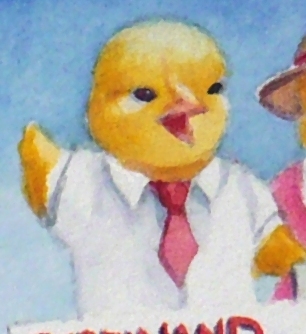 Ferdinand is running for president. Seriously! 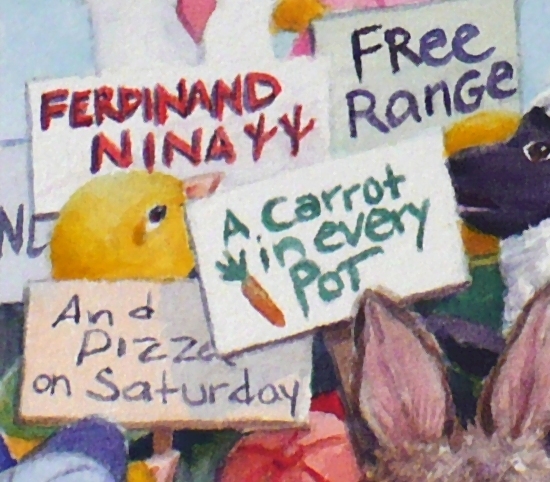 He actually has a fairly good following among the animals at Tulipa Farm. And if you have not yet decided about the coming election, he would like your vote as well. 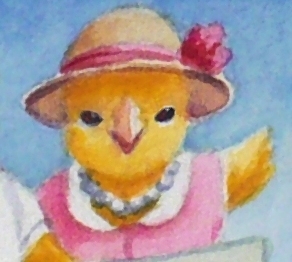 You would be in good company: the rabbits, the sheep and the chickens are all for him. He's promised them everything they ask for and more besides. His running mate is none other than the lovely Nina. She has promised to keep everything color-coordinated. So let's wish them luck. 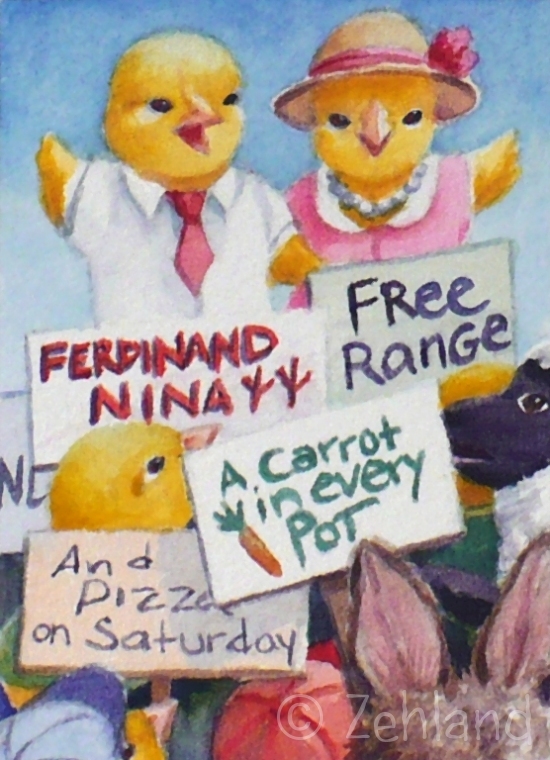 Go Ferdinand and Nina 2012! 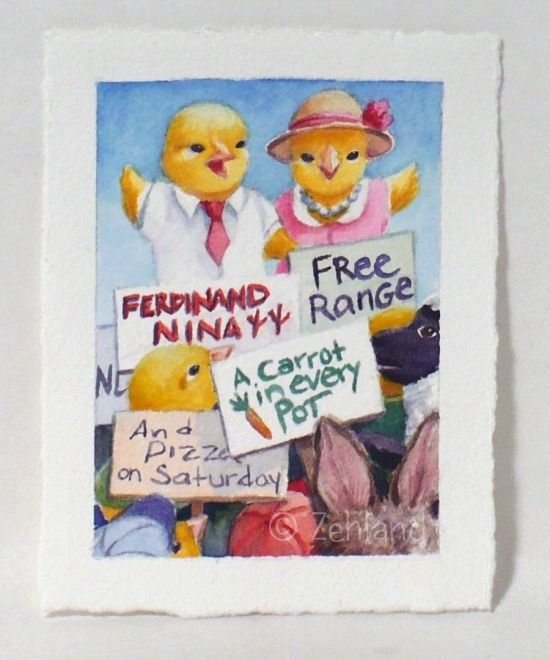 Ferdinand for President is an ACEO sized original watercolor painting - 2-1/2 x 3-1/2 inches with an extra one half inch border around the painting. See you tonight and don't forget to vote!